Naytev allows publishers and content creators to find the best version of their voice through social sharing. It allows them to customize and create variations in how their content is displayed on social networks when users share it from their sites. Then it uses detailed analytics and machine learning to measure, discover, and prioritize which messages create the highest engagement. "Easy to Use Social Media Management Tool"
2. Would love to have Instagram publishing someday! 3. Had a few glitches in the beginning where scheduled posts didn't post, but that has seemed to clear up and be fixed. 4. Not the biggest issue because it doesn't happen that often, but when there is an update to Naytev if you are working on a post it doesn't save your work and also forces to update before you finish. We've been working on ways to better pull reports for grants and projects. We've only been using Naytev last year, but having content tags has helped to generate reports for these projects. "Must -Have For Online Publishers"
1. Ease of use - It is super simple to get an A/B test going and publish the winning result. Even simpler to publish that winning result across multiple Facebook pages. 2. Customer service - I really appreciate knowing that if I have a problem that someone knowledgeable with the product is going to respond quickly and with the right information to get me going on my way. 3. Listening ear - It's great to have an easy product and a responsive customer service team but equally important is knowing that if something isn't working in a helpful way or if there is a tweak that could be made to make thing better that you have a group of people listening to new and innovative ideas that will help to develop the product into something better. I dislike that it doesn't work on a mobile device. Naytev helps to discover the best combination of creative and copy so that what is published has the highest likelihood of driving the results you are looking for. We're glad that we're on your must have list. Thanks for taking the time to write a review! We've heard your dislikes and we're rolling out a series of customizable notifications across email and Slack that will keep you up to date with your content. Very excited to see what you think! 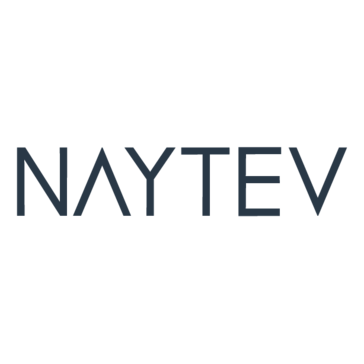 "Powerful tool for finding the most engaging social packaging"
In a climate of unpredictable Facebook algorithms, Naytev takes much of the guesswork out of social posting. When my company has a story or video that we've spent a lot of time and resources on (or even one we haven't! ), it's great to be able to test headlines, photos and copy with a small test segment before the post deploys to our main account page of 43 million—and know that Naytev will post it at an optimal time when the page is seeing a lot of activity. The customer service team is great and very patient. I don't dislike anything about the current product--It is the best A/B testing tool of the 2 I've tried. But I think Naytev would be a better all-in-one product if it automated some of the testing (by suggesting copy from the story) or took trending news into account when considering the 'optimal posting' feature, instead of just time on page. It's certainly beneficial, but results are less noticeable with every Facebook algorithm change. Certainly not Naytev's fault, but gone are the days when most A/B tested posts would become social gold. The tool has helped drive click-throughs to the site, has upped social engagement, and has allowed us to learn about which types of headlines/photos our users are most likely to click. We also use the winning packaging on platforms beyond Facebook, like our newsletter. Hey Rachel, Thanks for taking the time to write a review! We're glad that we can help you optimize click throughs and social engagement on your content. We have some exciting new features we're rolling out in the fall and we can't wait to share them with you and your team. I love the customer service! Any time there is a bug or I am having an issue or a question, Justine is always quick to help sort out the issues I am having or provides helpful suggestions for workarounds until the issue is resolved, in a timely manner. I think Naytev has some opportunities when it comes to publishing videos, specifically with the title. I have found that even when I change the title in their title line, when it publishes to FB, the title will not upload properly and has to be changed manually. I also think there are opportunities when it comes to tagging each post. When I used Sprinklr at a previous company, we were able to look up the performance of specific tag categories and I feel like that would improve the platform immensely. Ask for a trial run to test it out and see if it is a good fit for your organization. I have experienced slight bugs with Naytev and every time something wonky occurs I reach out to Support, mostly Justine, and she is there within minutes (for the most part) to help. She has been such a wonderful asset to me and I feel like she really cares about the people on the other end of the message box. Almost all of my hiccups have been resolved, some they are working on for the future, and as a client, I feel valued and listened to. Great feedback! Naytev supports advanced tagging and reporting by tag category, as well as video title changes. We'll be sure to follow up on how to take advantage of these capabilities." "Great Tool & Awesome Partner To Work With"
I run 10 tests per week to better understand how to package our newly published content for our specific audience on Facebook. I like how easy to use the platform is and how convenient analyze the performance is once the tests have completed - either directly on the platform or in an easy to download export. I also like the scheduling integration so you don't have to transfer the posts to Facebook manually - just schedule directly once the tests are complete! Unfortunately you can't schedule when tests go live - I think it would be very helpful to be able to pick the day/time when the test starts instead of only being able to immediately run the test once the creative options are in, especially since I schedule tests in bulk! With Facebook's platform constantly changing and consumers tastes/interests fluctuating month over month, it's nice to be able to track what's resonating and what's not from a creative perspective. I like pulling exports for months of tests to find the patterns and help inform 1) what content our editorial creates and 2) how we package the stories for our different audiences. Hey Alex, thanks for writing the review! We're thrilled that we can help you navigate through people's fickle tastes and Facebook's constantly changing algorithm. We take all customer feedback seriously, and we've included setting and starting automatic tests into our product roadmap. We'll be sure to keep you in the loop. The platform is pretty intuitive for the most part and easy to use. Their Customer Success Manager Justine is always super responsive in times where we need troubleshooting or if I ever had any questions about how to use a particular feature, how to set something up, or if I ever had any feedback or hopes for an upcoming feature. There are some wishlist features, such as being able to publish a video title properly, or more robust analytics utilizing the existing content tags to sort and filter certain posts/categories that would be an amazing addition to the already existing features that are great. I would highly recommend trying it out to see if it's a fit for your team's needs. Naytev is a great tool for publishing, scheduling, optimizing, and a/b testing on Facebook. Hey Lacey, thanks for taking the time to write a review and leaving some great feedback. I'm proud to say that our existing system can already filter tagged content and provide you with robust reports on your content's performance! We're super excited to help you get started with tagging and I'm happy to answer any additional questions that you have. We'll be in touch by email. 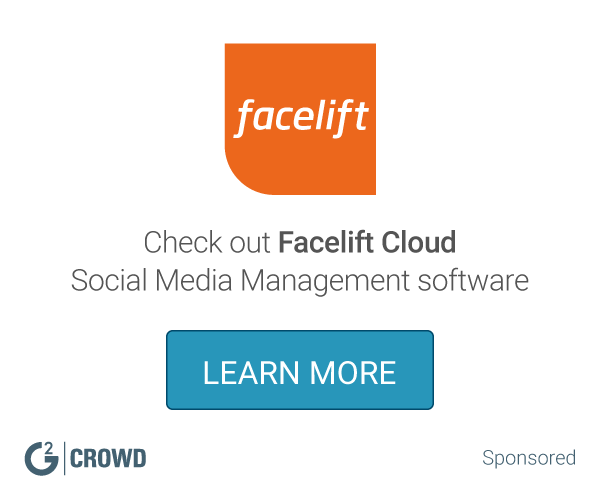 "Naytev is great for social media management!" It makes my job easier by collecting all of the content previously posted in one place, for me to recycle old posts. Also enjoy the content window and how Naytev collects engagement from our social media, to know the best times to post something. There have been a few bugs here and there, but nothing terrible. I do wish there was an overall data report of how social posts are doing; this would also help with spotting the progression of our social media growth. Also, some scheduled posts will be stuck in limbo with no explanation. Which can be frustrating at times. Benefit of scheduling content intelligently based on the past performance of social media posts. Layout of schedule posts assists with staying organized throughout my work day. If a problem does occur, Naytev customer service responds fairly quickly. "Get more out of your content and advertising "
It's an easy-to-use A/B Facebook testing tool that lets you quickly perform multi variant testing. This tool blows away the native Facebook advertising tool, allowing you to get more out of your ads and your top performing organic content. Great for social media and audience development teams, as well as sales teams that work on native content distribution. We're able to get better performance out of our native ads as well as our top performing article content. It's especially great if you are working with a client on creative and you can show them with solid data which ad variant is going to get them the most bang for their buck. Hey Travis, thanks so much for taking the time to leave us a review. We're happy that we can outperform Facebook Ads and drive value for teams working on all aspects of content distribution. We're always exploring new networks to support A/B Testing. Recently we've rolled out Instagram testing and have plans to include more social networks in the future. "Takes The Hassle Out Of Scheduling Social Media Posts"
Naytev truly gives you the best of both worlds. Setting the publishing rules ensures your posts will only go up when your content will be published and you have the ability to completely customize the imagery and copy in each post. This also means you don't have to deal with the headache of scheduling every individual post each day. A real time saver! Video publishing is still a bit rough on Naytev. For whatever reason, scheduled videos will be published twice. Once as a draft and once as the post that will actually go live on your page. Because of this, the information gets split up between the two posts, meaning the post that goes live will be missing a headline or copy. This means you will have to go back and manually edit it after the post goes live. This is a great platform to use if you need to schedule a high volume on content to social media. It allows you to set your own rules and schedule posts days ahead of time. As I mentioned before, it's a big time-saver! I am able to schedule Facebook posts days in advance, knowing they will go live using the rules I came up with myself. Hey there, thanks for taking the time to write a review and leave great feedback! We're glad we can save you time and let you focus your attention on more complicated things. ;) We've got your back when it comes to publishing high volumes of content. Taking your video comment back to our tech team and doing some investigation on our end, it looks like you encountered a temporary issue which was resolved. We'll be sure to monitor that things continue to run smoothly. "Great Tool For Getting The Most Out Of Your Content"
The ability to test thumbs, headlines, and copy to ensure that each piece of content a publisher puts out is maximized for its peak performance for either engagement or actual traffic. Having slots to fill for each day on pages helps a team of more than one understand what is expected, without double posting. Naytev staff are quick to answer questions/resolve issues. Some UI elements can be buggy, and Facebook's continually changing landscape can cause some slipups for the platform, but these are resolved very quickly. Organization and repackaging older content to perform even better today. Or, show exactly how simple changes can make a poor traffic performer have a second go at driving clicks. Hey Edward - thanks for the feedback and taking the time to leave a review. We're always trying to stay ahead of platform changes so we can have a quick turnaround when Facebook changes unexpectedly. Additionally - we're glad that we can give high performing content an extra boost and lower performing content a second chance at life. If you have any additional questions, please don't hesitate to reach out to us. "Good for A/B testing at scale, but some other key publishing features are what push the needle." Team is easy to work with, platform is hella easier than working with FB ads, and whether they know it or not, many of the data tracking and scheduling features make it possible to publish more high quality content to a Facebook feed than simple A/B testing. I'm not a fan of having to manually upload videos and images when most other scheduling tools are drag/drop. It's fine for testing content, but again, there are more uses for Naytev than just that and I wish they'd make regular publishing a tad faster. Posting high engagement content is the only way to survive on Facebook in 2018 and Naytev has simplified many of the processes we use to get that info and form a strategy. We're actually making changing in the next couple of weeks to make publishing faster and enable drag and drop media functionality. I'll keep you updated! The customer service and support is unlike any other platform I've ever used. The support team is always available to help sort out glitches (if any), and they actively care about their users, building solutions that meet their needs -- and quickly! They really do care about their customers and will even go as far as sending gifts (like cupcakes!) to prove it. Right now, the major pain point is lack of a field mapping feature that the team actually already has on their road map to build. It's the last step before the connection between our CMS and Naytev won't require any manual intervention (moving the post text up to the post text field, rather than leaving it in the description field where it currently pulls in.) However, it doesn't take much time for me to manually cut and paste, and the auto-scheduling feature brings so much value, I don't mind dealing with it as they continue to work on improvements. Given the time frame I've been working with Naytev and seeing all the features they've rolled out (some at my request! ), I have no doubts that this platform will be the absolute best in class in a few years' time. The other aspect is analytics. This is not a great platform for being able to sort and filter through post analytics on a daily, weekly and monthly basis. We use another solution for that. However, you can download a sheet that records the analytics of all posts ever at any time...but that feature isn't helpful for us, given the fact that we post 150 posts on Facebook per week. That's a lot of lifetime data to sort through. However, these improvements are on their roadmap, as well. Naytev's advanced publishing service is extremely integral to my workflow, and it would be really detrimental to my day-to-day task management to lose it. The advanced publishing has freed up my time to focus on other projects to collect new insights for editorial and streamline our processes. Without it, I will have to manually pull links from the publish channel to schedule posts throughout the day, rather than having them populate in the platform and have them go out when the software reads our fans are active. This is crucial to our reach as the industry sees an overall decline with the release of Facebook's new algorithm. Additionally, A/B testing has become such a vital part of my strategy. It has resulted in lower CPCs on our branded campaigns, and having this service fully integrated with pushing posts to our page is optimal for workflow. Hey there, thank you so much for the review! We're very excited that we've become integral to your workflow and free up your time to focus on other important projects. Social shouldn't be stressful! We rolled out the more advanced analytics, tagging functionality and some other client wishlist capabilities last fall. We're happy that we can knock another item off your wishlist and make your life a bit easier. 🙂 If you think of anything else that will make your life easier - don't hesitate to reach out! "You Won't Find Better Customer Service Anywhere Else"
Functionality: The ease with which Naytev enables my team to put together test variations has really increased our efficiency, compared with having to navigate the FB ad manager. We were able to create a modified workflow of drafting and approvals that make it relatively easy for both the writers and the editors. The reviewing and editing process is easy, and the preview layout has been crucial for us in weeding out packaged material that isn't the best fit. Customer service: The Naytev team has unbeatable customer service and is always around to help and clarify. They genuinely care about the success of their clients and make extra efforts to ensure that we have everything we need to meet our goals and analyze our data to make more informed decisions. There is some clunkiness with the scheduling feature, but we run under different parameters as a news publisher - needing to move quickly on timely things. It's a bit cumbersome to reorganize our scheduled queue if something pops up, but it's something we've adjusted to in our overall workflow. The Naytev team has also spent time getting our feedback to work in product tweaks as they can. You should weigh the importance of AB testing and paid promotion in light of Facebook's ever-changing policies with publishers. We are able to scale up our testing by using the more efficient creative workflow that Naytev provides. Because of this, we are able to identify what's working well and where it's working. We are also able to use other high-performing variations in additional posts later on. We can determine patterns and check topics that resonate with our audiences. Naytev is the most useful tool I have and it helps me communicate effective packaging strategy to my team, which helps the success of our content. The Facebook ads system is quick to disapprove of our ads whether they meet the guidelines or not. This can be frustrating sometimes. We're constantly workshopping what types of packaging our audience does and does not like for social posts. Facebook is a huge source of traffic for us so optimizing our user experience is a high priority for us. Naytev is easy to use, hardly glitches, and the customer service teem is endlessly helpful. This not only helps short-term goals of hitting the numbers we need, but this tool also gives us great long-term knowledge about our audience and marketing on social in general. Hey there, thanks for taking the time to leave a review! We're happy that we can give you clear and decisive results and inform your content strategy - in the short term and long term! "Straightforward social media sharing and responsive support"
Naytev support has been very helpful and responsive when we’ve encountered technical issues. It’s also genera easy to use with regard to scheduling posts to be shared on social media. Sometimes Naytev seems to have a mind of its own. It’s not always consistent with regard to automatically sharing content and has a tendency to lag when things are busy, though sometimes it lags even when things are slow. We’re able to schedule posts to be shared to social media, which cuts out extra work for us (provided to software is working normally). Hey there, thanks for taking the time to write a review and provide great feedback! We're glad we can save you and your team time when it comes to scheduling content on social. We're constantly working to maintain the platform and improve performance speed. We recently implemented updates to ensure platform stability and avoid lag related issues in the future. "Naytev is the Secret Sauce for Increased Efficiency and Time Saving"
1. Customer Service. Their customer service team is outstanding. They are extremely responsive into looking into bugs and even proactively letting us know of any issues. They are very open to adjusting their UI based on feedback from their clients that in turn makes their platform better. 2. Ease of Use. Naytev's UI is very intuitive and simple. Driving quality results - Naytev provides a plethora of useful analytics and data to help us identify what creative resonates with our audiences the best. Hey there! Thanks for taking the time to leave a review. We're glad that we can help you save time and drive results with your social content. We've got some exciting updates in the works (designed to save you even more time!) and can't wait to share them with you. Regarding your feedback to collaborator permissions and team management. We appreciate your patience working with Facebook's rules around permissions and we're exploring ways to make Facebook collaboration even easier in the future. "Intuitive and easy to use, with clear results displayed"
Naytev is extremely easy to use, easy to onboard, and easy to show performance lift. The export option is not robust when it comes to showing people performance who are not data proficient. Understanding how different creative types perform on Facebook and communicating those out to the team. Hey Jack - We're glad that we can help you and your team achieve big wins on social. Our goal is to keep things simple and user friendly and it seems like your team picked up the platform quickly! Thanks for taking the time to write a review. "A great secret weapon for social media"
It's a rare social media tool that works as advertised. It's easy to learn and train others, and it lets us ensure that the messaging we put out publicly is the most effective that it can be. It largely takes the guesswork out of organic social media. The interface is not always very user friendly and it can be difficult to determine what is causing an error. The ability to easily test out new audience reactions and help craft marketing plans around audience responses. Thanks for your review and feedback! We're glad that we can help demystify the quickly changing world of social media. Regarding error messaging, we totally hear what you're saying. We're continually working on implementing better Facebook error messaging. If you notice anything or have any questions - please don't hesitate to reach out to us. Easy to use and responsive team! They are personable and quick to communicate with us. Not anything really, it fulfills its purpose! Naytev helps my team A/B test headlines and images for our content on Facebook. The tool has been helpful in helping us repurpose content optimized for our social channels. We're happy that we can help you save time and extend the life of your content! Thanks for taking the time to leave us a review! "A Great Resource For Puplishers"
Naytev has been a key to helping us optimize our social traffic. No dislikes. Naytev meets all of needs for the time being. Naytev has been key in helping us find our declining social reach by ensuring we have optimized all of our content before we push out Facebook. Their product helps us do this efficiently and with very little human involvement. We're glad that we can help you hit the mark on social and free up your time. Thanks for taking the time to leave us a review! "Naytev is a solid product"
I use Naytev for work and have found it to be easy to use and great for A/B testing. The interface is simple and the results are usually valuable insights. A little bit more transparency on how the product works would be nice. As a social media editor, I use Naytev to see which types of headlines, sells, and images work best on Facebook. We've seen some clear-cut results using the product. Hey there - thanks for taking the time to leave a review. We're glad that we can help provide valuable insights and give clear cut results to inform your social strategy. "The ideal way to get to know your audience"
Naytev really surprises you with what makes your social audience unique. You can't test organic posts - only paid ones. Definitely try out copy, captions, and images you wouldn't have thought to use. Go bold with it! If your social strategy isn't working, Naytev can probably show you why. I realized that one of my social audiences tended to love negativity, and none of my audiences particularly liked celebrity photos. "Best way to test and run Native Content campaigns." The platform makes it easy for us to set up tests and do optimizations. Somethimes the platform stops working for a shor period of time. Saving us time and money. Hey Mario - thanks for taking the time to leave a review and give great feedback. We're incredibly happy that we can save you and your team time and money dealing with social. Regarding your dislikes - we definitely know it can be frustrating when there's occasional service disruption and we strive to have 99.99% uptime. * We monitor all Naytev reviews to prevent fraudulent reviews and keep review quality high. We do not post reviews by company employees or direct competitors. Validated reviews require the user to submit a screenshot of the product containing their user ID, in order to verify a user is an actual user of the product. Hi there! Are you looking to implement a solution like Naytev?